Gregory T. Rogers founded RayLign Advisory LLC in December of 2004 to “perpetuate well-being for families” by providing consultative services to families based on four essentials: 1) modeling and applying values, 2) developing effective leadership and decision-making, 3) respecting individuality and personal development, and 4) aligning financial resources. Greg is also President of RayLign Foundation, a non-profit organization he founded to promote the strength of families. In addition, he is a member of TIGER21, and the advisors council for the Fairfield County Community Foundation. 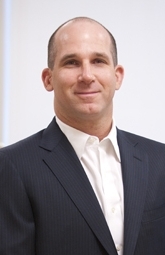 Prior to founding RayLign, Greg was the Executive Vice President & Chief Operating Officer for publicly-traded asset manager John A. Levin & Co., where he was responsible for strategic planning, sales and service management, operational oversight, and business and product development for an organization with over $13 billion in assets under management. Greg also co-designed and managed a strategic consulting practice called BARRA Strategic Consulting Group that advised many of the leading businesses in the asset management arena, utilizing the latest in risk management technology, and managing teams and projects across the globe. In addition, he was director of RogersCasey, one of the leading investment consultants to institutional investors, as well as a family business founded by his father Stephen Rogers. Greg was responsible for manager due diligence across asset classes that included US equities, global fixed income, tactical allocation and hedge funds. Greg has an MBA in International Finance from New York University Stern School. He graduated from Brown University with a keen interest in “what makes people and organizations tick”, graduating with a BA in Economics, Organizational Behavior and Management, and coursework in Psychology.